Canada's first prime minister is either a hero, or a man ultimately responsible for mass murder. In Part 2 of the Trial of Sir John A. Macdonald, prosecutor Jean Teillet makes her case on the second count against Macdonald for crimes against humanity — intentional starvation and deaths of thousands of Indigenous people on the plains. Canada's first prime minister is either a hero, or a man ultimately responsible for mass murder. In this second part of the Trial of Sir John A. Macdonald, prosecutor Jean Teillet makes her case on the second count against Macdonald for crimes against humanity — intentional starvation and deaths of thousands of Indigenous people on the plains. **This episode originally aired April 12, 2018. He knew there was sufficient food to feed First Nations. And he knew it was being deliberately withheld, and that people were dying because of that. He knew the food was being withheld until it's spoiled, and that when rotten food was eventually distributed that killed people he dismissed the cries of starving people as grumbling. He cut rations to keep expenses down. He continued his policy of starvation because it furthered his goals to free land for white settlers and because it furthered the railroad. Forced starvation is the intentional deprivation of food necessary for survival. And we say it's a crime against humanity for a government to carry out a policy of forced starvation against its own people. The rations policy was a systematic attack against these First Nations. Forced starvation is another method of democide. We say the facts here provide evidence of democide against these First Nations by forced starvation arising from an intentional and knowingly reckless disregard for life. And, finally, we say further that Sir John A. Macdonald was responsible for these acts, [and] that he must personally account for them. Defence attorney Frank Addario used that same excerpt in Macdonald's defence. There were other factors that led to the mass starvation on the plains and many of them were out of the Prime Minister's control. The decline of the buffalo population was obviously not Macdonald's fault. In October 1978, Macdonald returned to government, replacing Alexander Mackenzie. And he immediately acknowledged the tragedy by boosting spending in what was called the Indian Department and rolling out a [food aid] program in time for the spring of 1879. The government agreed to fund a new program of agricultural instructors to advise Indigenous people on how to farm. This is the first such program of its type. The federal government doubled its spending on what was called Indian Affairs from 1879 to 1881. And by 1885 it had almost tripled. He was admittedly overfocused on the railway and nation-building, and preoccupied with the reservation system in the treaties. But there is no evidence he was interested in slaughter or killing. The failures of the numbered treaty food programs were not the work of a genocidal maniac. As evidence of Macdonald's compassion towards Indigenous people, Addario pointed to this excerpt from Macdonald's speech to Parliament on May 5, 1880. This special is based on a recording at the Isabel Bader Centre for the Performing Arts at Queen's University. The Honourable Ian Binnie, C.C., Q.C., is one of Canada's most respected arbitrators and advocates, the Honourable Ian Binnie served for nearly 14 years as a Justice of the Supreme Court of Canada. When he retired in 2011, he was described by The Globe and Mail as "arguably the country's premier judge" and by La Presse as "peut-être le juge le plus influent au Canada dans la dernière décennie" (perhaps the most influential judge in Canada over the last decade). During his time on the country's top court (as only the fourth modern Justice appointed directly from the bar), Ian authored more than 170 opinions, including in landmark cases involving corporate and commercial disputes, issues of contractual interpretation and torts, patent interpretation and validity, Indigenous rights, copyright and protection of trademarks, media law, punitive damages, expert evidence and many other aspects of constitutional, criminal, and administrative law. Frank Addario leads Addario Law Group's criminal, quasi-criminal, white-collar criminal defence and investigations practice. He is an experienced trial and appellate lawyer, regularly appearing at all levels of court in Ontario and at the Supreme Court of Canada. In 2016, he was awarded the G. Arthur Martin Criminal Justice Medal for his lifelong commitment to the criminal law. He is a vice president of the Canadian Civil Liberties Association. He is a past president of the Criminal Lawyers' Association. Jean Teillet is senior counsel with Pape Salter Teillet LLP and specializes in Indigenous rights law. Teillet has long been engaged in negotiations and litigation with provincial and federal governments concerning Métis and First Nation land rights, harvesting rights, commercial harvesting and self-government. She has served as counsel before all levels of court, including lead counsel for the landmark case R. v. Powley in which the Supreme Court of Canada affirmed constitutional protection of Métis harvesting rights. Teillet was a founder of the Métis Nation of Ontario and the National Aboriginal Moot. She sits on the Canadian Judicial Council Chairperson's Advisory Group and the Indigenous Bar Association Ethics Committee. She is vice chair of Indspire (formerly the National Aboriginal Achievement Foundation) and past-vice-president and treasurer of the Indigenous Bar Association of Canada. Patrice Dutil is a professor of politics and administration at Ryerson University. He has written a number of books on Canada's early prime ministers, including Prime Ministerial Power in Canada: Its Origins under Macdonald, Laurier and Borden (2017). He was instrumental in providing the defence with research and provides expert testimony for both episodes of The Trial of Sir John A. Macdonald. Clearing the Plains: Disease, Politics of Starvation, and the Loss of Aboriginal Life. James Daschuck, University of Regina Press, 2013. Louis Riel: A Comic Strip Biography. Chester Brown, Drawn & Quarterly, 2006. John A.: The Man Who Made Us. Richard Gwyn, Penguin Random House, 2007. 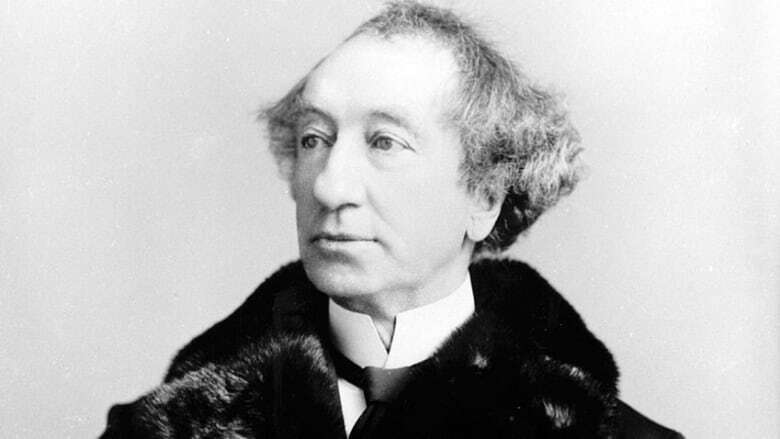 Nation Maker: Sir John A. Macdonald: His Life, Our Times. Richard Gwyn, Random House, 2011. This series was produced by Nicola Luksic and made possible with thanks to Queen's University The video evidence for this trial was produced by Bellows Media. The words of John A. Macdonald were narrated by John Gilbert.